If the imminent arrival of Halloween is adding temptation to your sweet tooth, you can learn more about the craving by heading to the Gulf Coast Exploreum (65 Government St.) and diving into “Chocolate! The Exhibition.” Developed by the Field Museum of Chicago and partially supported by the National Science Foundation, it explores the history of this dark and delightful treat that has captivated humanity for millennia. Visitors will follow chocolate’s impact on tropical ecosystems and human cultures utilizing static elements, original video, interactive displays, rich imagery and graphics, and artifacts. Among the roughly 150 objects are replicated pre-Columbian ceramics, decorative objects, European silver and porcelain servers, 19th and 20th century advertising and packaging, vintage chocolate molds and detailed botanical replications. The story begins with the discovery of cacao beans in South American rain forests 1,500 years ago and the value it held among indigenous cultures. Mayans created a spicy drink from it and the Aztecs used the beans as currency. The exhibit will remain in place until Jan. 17, 2016. There is also a gift shop embedded with the exhibit carrying an assortment of exotic chocolates not readily available anywhere else locally. Exploreum hours are Tuesday though Thursday, 9 a.m. to 4 p.m.; Friday and Saturday, 9 a.m. to 5 p.m.; and Sunday, noon to 5 p.m. Entrance is $12, $10.50 for youth 13-18 and senior citizens, $10.25 for children 2 to 12 or free for members. For more info, call 251-208-6893 or go to exploreum.com. This exhibit features more than 100 reproductions of artifacts from the young king’s tomb — including jewelry, statues, a chariot, a funerary mask and a 300-pound gold inner sarcophagus — fashioned over 10 years by artisans in Egypt’s Pharaonic Village. 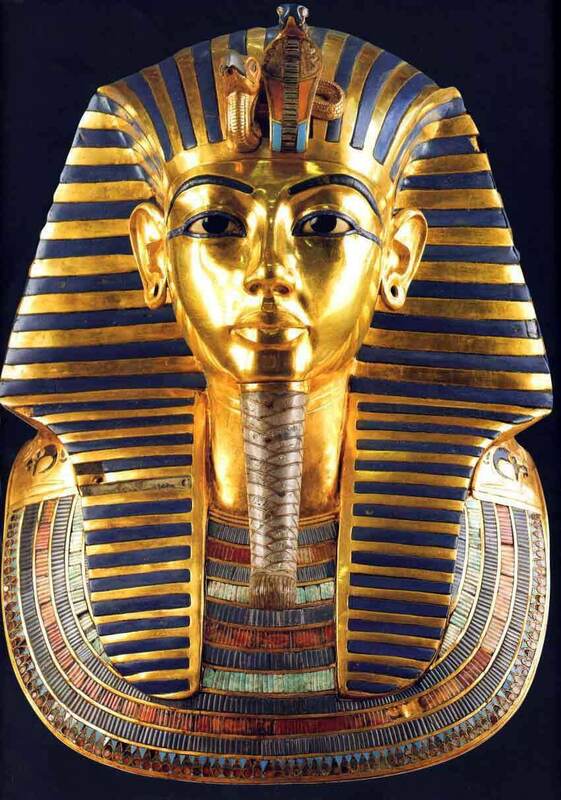 Archaeologist Howard Carter’s 1922 discovery of the elaborate and nearly pristine tomb was one of the most important of the 20th century. (Photo/ acebook.com/HistoryMuseumofMobile) “Tutankhamun: Wonderful Things from the Pharaoh’s Tomb” opens Oct. 20 at the History Museum of Mobile. The political environment of Tut’s period are explored as well as the cultural unrest that marked his era. Explanations of the religious backdrop and even the supposed curse of his tomb are on hand. The exhibit was curated by the International Museum Institute. Also on display will be “Mobile’s Hidden Treasures,” an exhibit of the History Museum’s collection of Ancient Egyptian artifacts collected by William T. Hamilton. Those include a sarcophagus, scarab beetles and religious effigies gathered in the 1850s. The History Museum will implement a new entrance fee beginning Oct. 6 of $10, $7.50 for youth 13-17 and $5 for children 6-12. Children under 5 are free. The first Sunday of each month is free for all. For more info, call 251-208-7652 or go to historymuseumofmobile.com. On the surface, Matilde is a Brazilian maid. In her heart, she’s an aspiring comedian making her way in the United States any way she can. Her job cleaning the house of a married pair of doctors brings her into the realm of the wife’s sister, whose fastidiousness outpaces her own. Add an unknown pair of lacy undergarments found in the laundry and drama ensues. “The Clean House” is the latest offering from Fairhope’s Theatre 98 (350 Morphy Ave.). The romantic comedy by playwright Sarah Ruhl won the Susan Smith Blackburn Prize and was a Pulitzer Prize finalist. Entertainment Weekly named it one of the top 10 theatrical attractions of 2006. Performances are Oct. 15-18 and Oct. 21-25. Tickets are $18, $12 for students. Curtain is at 8 p.m. Sunday matinees at 2:30 p.m.
For more info, call 251-928-4366 or go to theatre98.org. Commedia del Arte Traveling Players is taking auditions for its 2016 season. They are open to all ages and experience levels, age 18 and up, in the Mobile Bay area with a love of historical, comedic and literary theater. Auditions will be held Oct. 11 and 18, Nov. 1, 8 and 15 and Dec. 6 and 13 at Northside Bible Church, 2700 University Blvd. Call director Shari Prestwood at 251-510-0654 to schedule an appointment.